Support your CorLiving patio umbrella with the PPU-900-U Umbrella Stand. Constructed out of durable steel and specially designed to be used with patio pavers or stones, this product is ready to withstand the elements of the outdoors. Recommended to use with the additional weight of at least four pavers/stones or to bolt directly to your deck to create a sturdy, supportive base for your market styled umbrella. The Kimo Umbrella Base combines form and function for your outdoor scene. 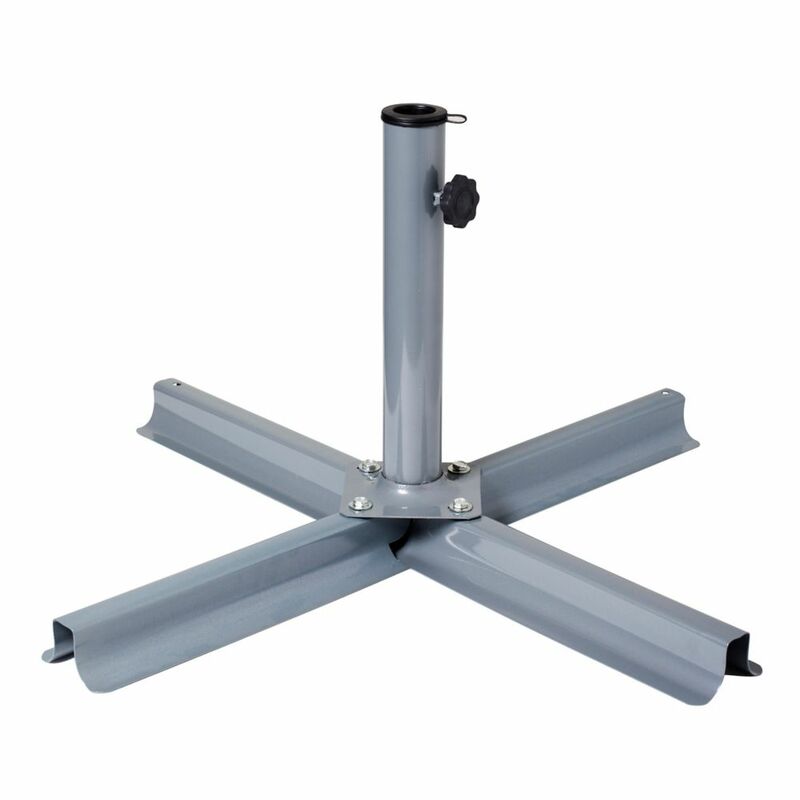 The stylish base features an attractive stainless steel and concrete design that adds flair and yet weighs in at 66 lbs to safely secure your umbrella. Ideal for commercial use or private backyards. The Tracy Base makes the perfect accessory for patio umbrellas whether in a table or with stand alone installations. Patio Umbrella Stand in Grey Support your CorLiving patio umbrella with the PPU-900-U Umbrella Stand. Constructed out of durable steel and specially designed to be used with patio pavers or stones, this product is ready to withstand the elements of the outdoors. Recommended to use with the additional weight of at least four pavers/stones or to bolt directly to your deck to create a sturdy, supportive base for your market styled umbrella.